Starburst! 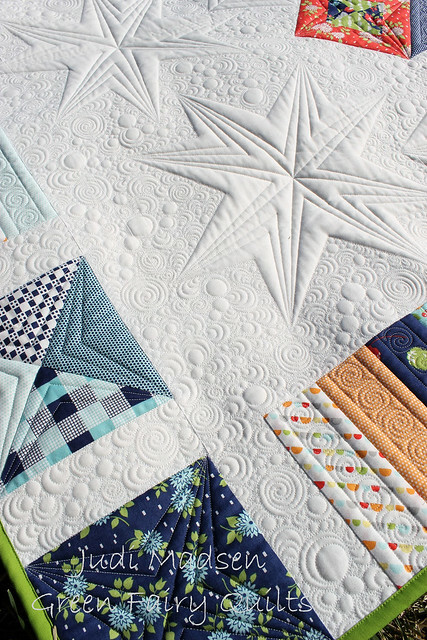 A New Quilt Pattern! So this pattern has been in the works for some time. 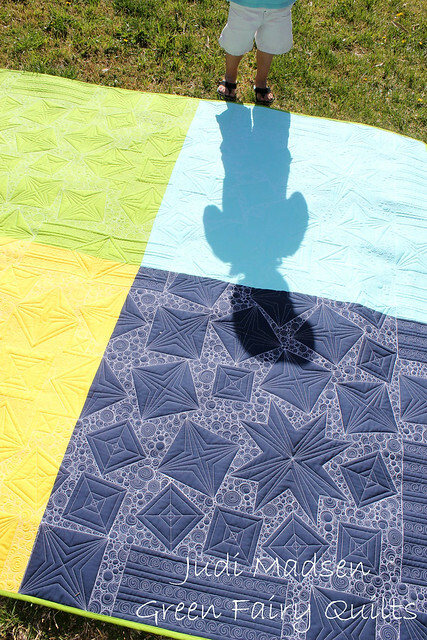 I gave some sneak peeks of this quilt last year. It has been sitting around my house and has been through a move without having the binding finished until 2 weeks ago. I am completely happy with this design - it is exactly what I planned when I drew it out. 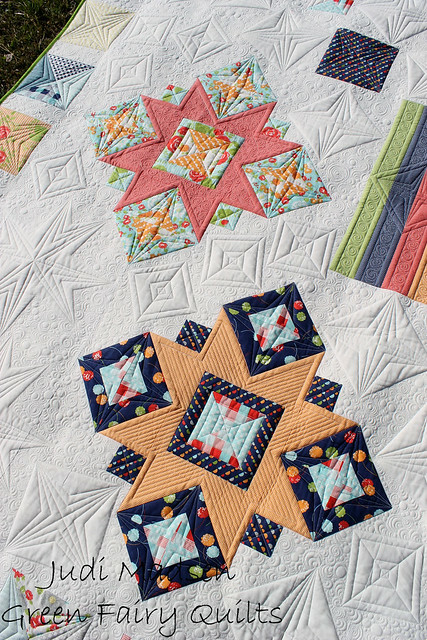 I wanted these "Starburst" blocks to be the show-off blocks of the quilt. 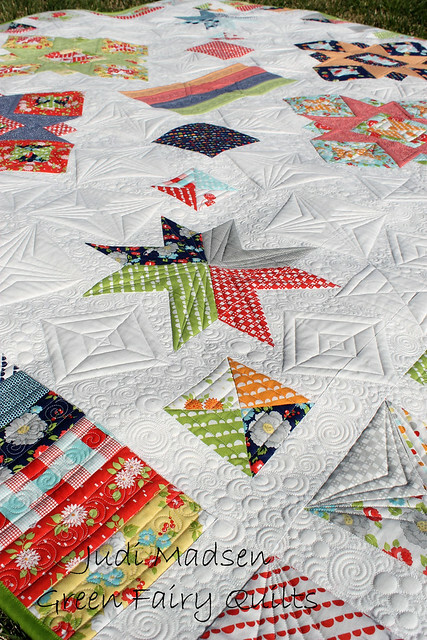 I think they turned out fantastic and because of these blocks I named the quilt - Starburst! 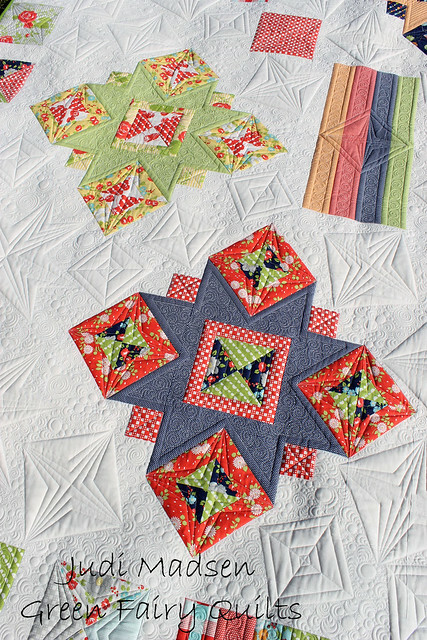 I used Happy Go Lucky fabric designed by Bonnie and Camille for Moda fabrics for the quilt top, as well as Moda Bella Solids 9900-97 for the background. 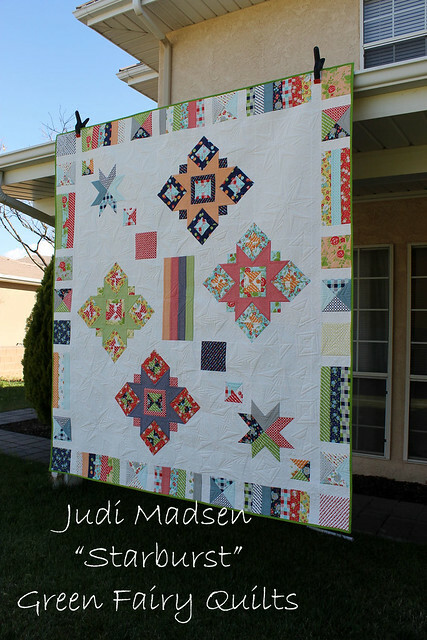 I used a fat quarter bundle and a jelly roll to complete the quilt top. Don't the fabrics look fabulous together? 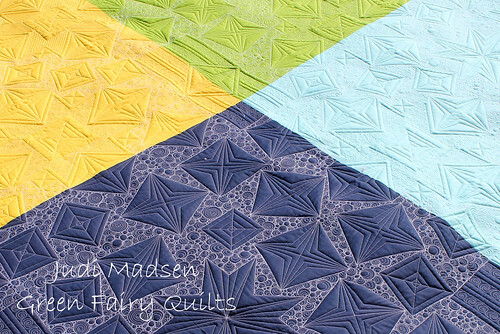 The quilting on this quilt was just fun. It is a dense filler with fun shapes filled around. 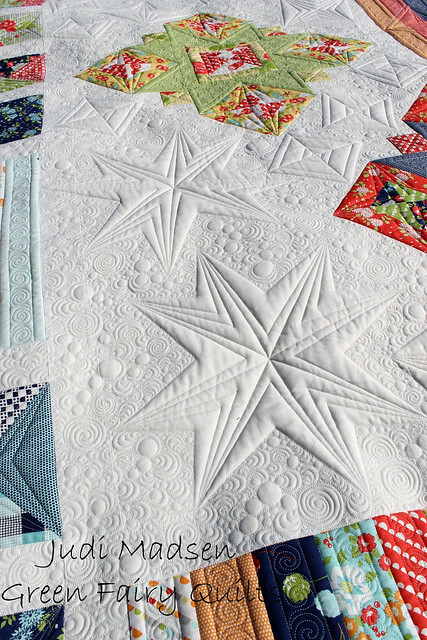 I really love how the strips in the center of the quilt were a perfect center to show off the quilting motif that I used throughout the quilt. 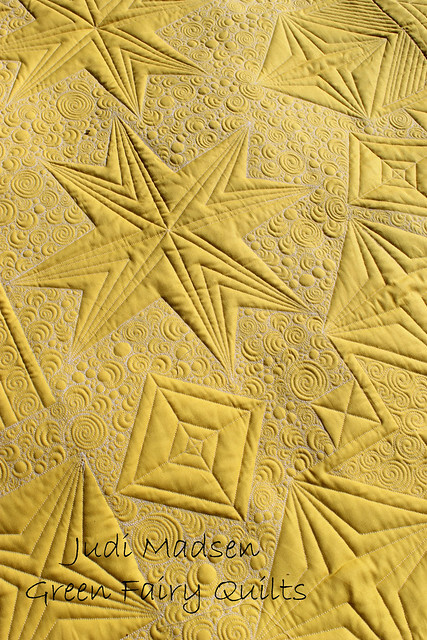 And, my stars.... these were so fun to incorporate into the design. 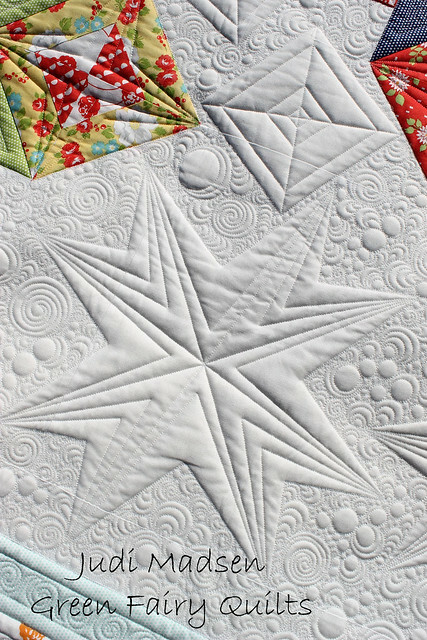 I always try to make sure the quilting ties in with the pieced design and these stars are perfect for my Starburst design. I love them! 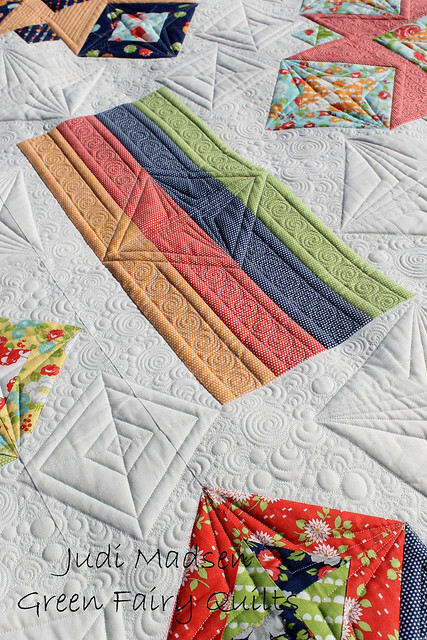 This quilt top would be beautiful as a stash buster project as well. The white background allows for the fabric to be just about anything. I am so happy to finally share this quilt with you. If I had more time or hours in the day, you would have probably seen this before now. For the back I thought it would be fun to sew 4 solid fabrics together. I think they look fantastic as a backing. As always, I love the back. 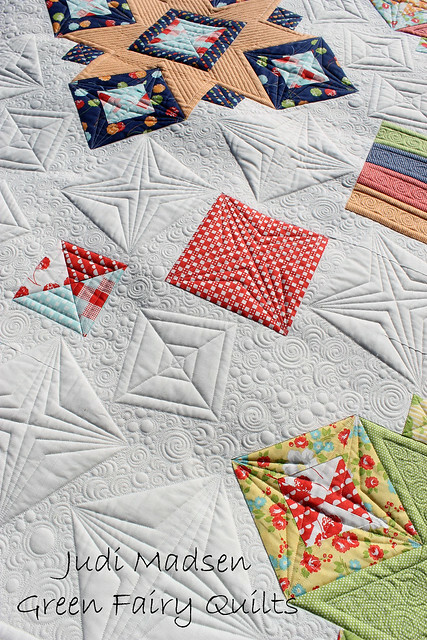 It is so fun to see what a quilt looks like on the back. 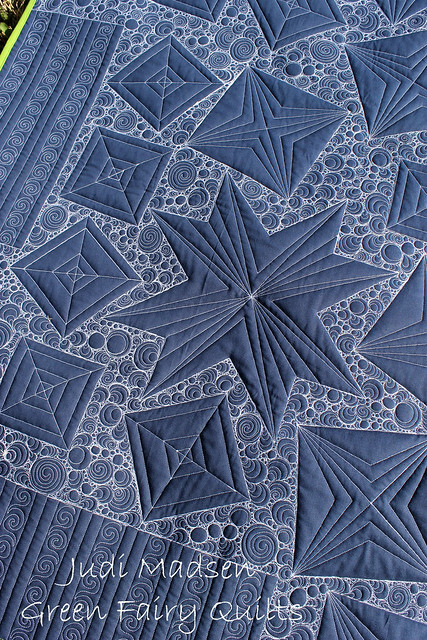 The dark blue really shows off the white quilting thread. I used So Fine thread #401 for the top and bottom of the quilt. It is my go to thread. 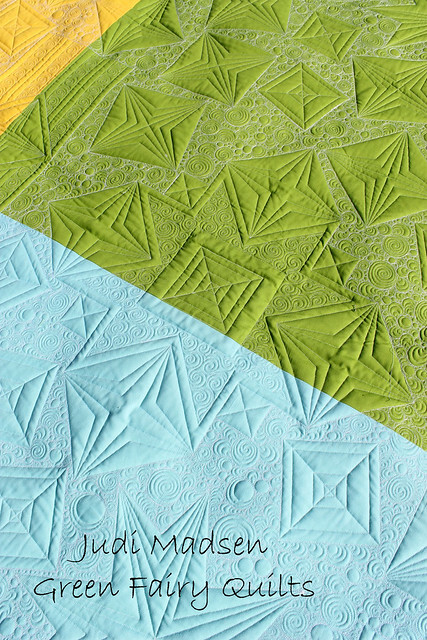 The quilting texture is too much fun. And, I love the help I get when I take pictures of my quilts. My kids are trained to not step on my quilts, thank heavens! I am happy that they enjoy the process of quilt making with me. So - I hope you like my newest design! You can get your paper pattern here or your pdf pattern here. It is a super fun pattern to put together, so enjoy! Also, stay tuned next week to find out all about my trip to Sparrow Studioz in Canada!